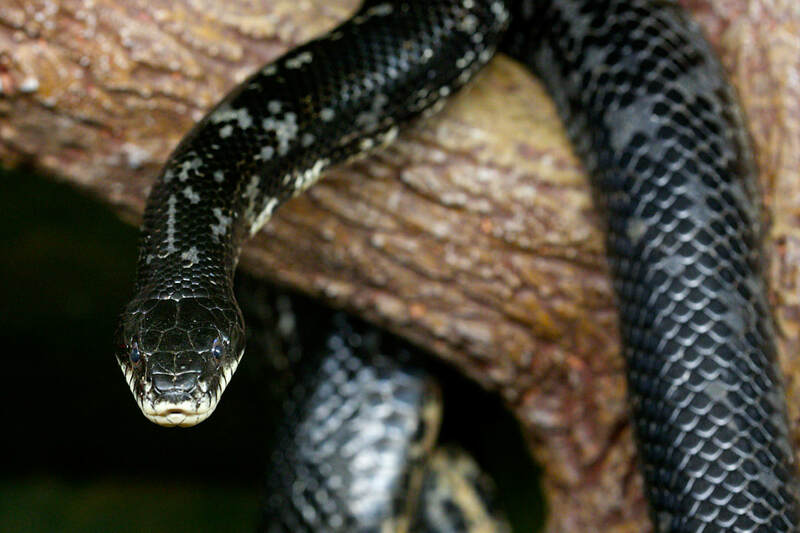 Plain, shiny black snake with lighter underside; young are strongly patterned. They reach 3.5 – 6 feet long (1.1 – 1.8 meters). Rocky, timbered hillsides to flat farmlands. An excellent climber, the snake sometimes dens in cavities in hollow trees. Throughout eastern North America from southeastern Minnesota to northern Louisiana to the east coast. Mice, rats, chipmunks, voles, shrews, birds, and eggs. Young feed on frogs, lizards and small mice. They breed in spring, and the female deposits up to 15 eggs in late summer. Eggs hatch in early fall. Young are 11-13 inches. These snakes are protected in some areas of their range due to overcollection or killing due to their large size and habit of vibrating their tails (like a rattlesnake) when threatened. 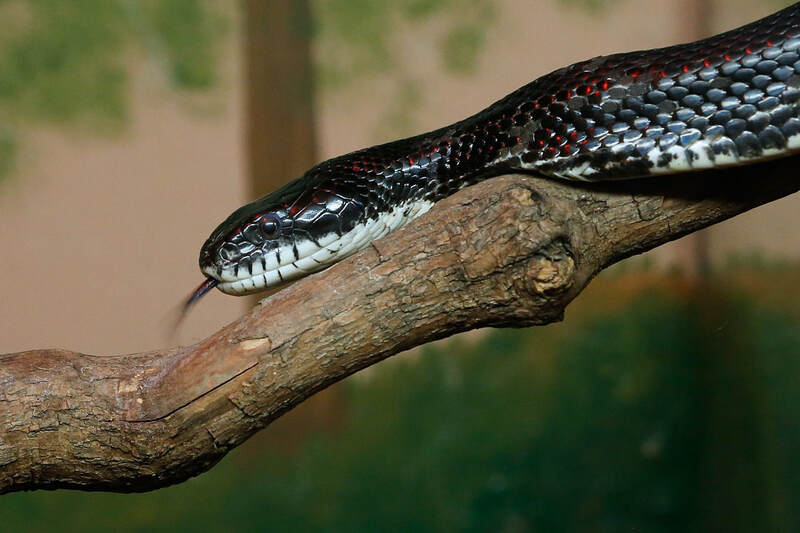 The Black Rat Snake is one of the largest snakes found in Connecticut. It is sometimes confused with the Black Racer, which has smoother scales than the somewhat keeled rat snake. 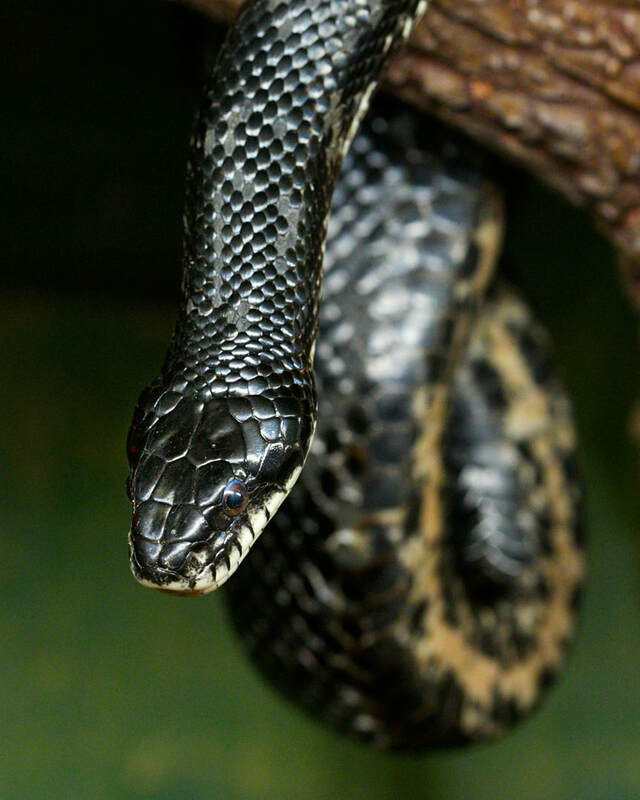 Connecticut’s Beardsley Zoo has two Black Rat Snakes on exhibit in the Connecticut Reptile House located in the New England Farmyard.